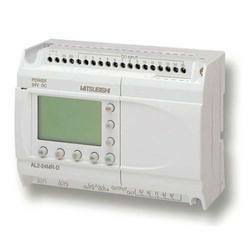 Alpha 2 PLC is advanced level model, incorporating a good mix of digital and analogue IO, integrated high speed inputs and PWM output, clock with calendar, counters, timers, integrated keypad display, serial communications and an expansion port. Easy to configure with drag-and-drop function blocks. 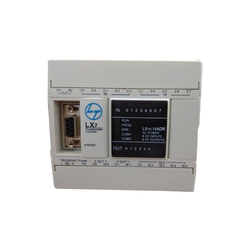 We are offering wide range of PLC Controller. At our well equipped manufacturing unit, our offered controller is precisely engineered using innovative technology and premium quality components in line with set industry standards.Electronic PLCs are widely demanded in the market for their consistent operation.